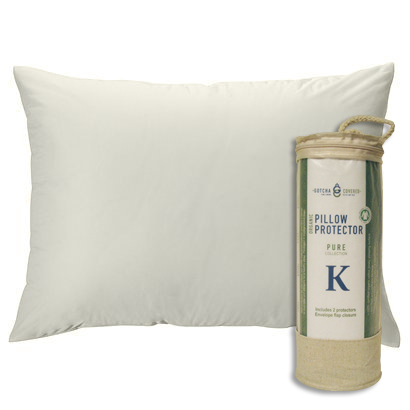 Our washable and 100% waterproof pillow protector is made with GOTS certified organic cotton jersey that feels just like your favorite t-shirt! The waterproof inside lining is made with recycled and inert polyurethane film which does not leach chemicals or toxins making it the safest and most eco-friendly waterproof barrier on the market. Additionally, protects against dust mites and other allergies. Proudly made in the USA.